only show featured or special offers? The X Factor is back exclusively on TV3 from Saturday 2nd of September and Suzuki is pleased to announce sponsorship for this year's series. X Factor is the nation's favourite singing competition. Suzuki is delighted to be expanding it's presence in Ireland, and working with TV3 and The X Factor is the perfect way for us to do this. Win a Brand NEW Suzuki Vitara! 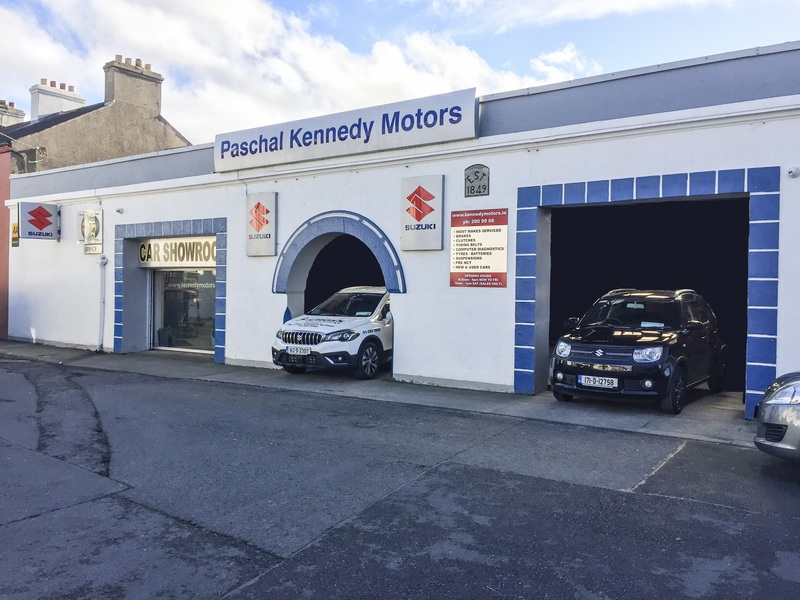 Paschal Kennedy Motors is pleased to announce the winner of a Baleno in Core Credit Union's Monthly Draw is Joan Heelan. Pictured here with David Kennedy Joan said she was absolutely thrilled when she heard the news that she'd won her first brand new car. Many congratulations to Joan and happy driving from all at Paschal Kennedy Motors. NEW Suzuki Swift Now Available! The New Suzuki Swift is now available at Paschal Kennedy Motors! From as little as €14,995, you could be driving away in this stylish New Suzuki Swift. Come in for a test drive today!